Start by reading our FAQ page if you have questions about your garage door system and the different parts which it is comprised of. We have detailed answers which include valuable information for every automatic door owner and user. Use what you have learned to provide even better care to your unit. How to clean the garage door sensors? Cleaning the sensors on the door of your garage, according to our garage door maintenance experts, is not as complicated as it sounds. All you need is a clean piece of cloth, preferably cotton. Simply wipe the sensor with the cloth to remove spider webs, dust, and other types of dirt that cover it. Avoid from wetting the sensor. Can the door opening or closing speed be adjusted? In most cases, yes it is possible to adjust the speed with which the door opens or closes. Garage door openers usually come with the mechanism to enable manual adjustment. Usually, there are two knobs or dials that can be accessed to do the adjustments. Be sure to refer to the manual to find the instructions to do this properly. I’m building a new house. How much would my garage door cost? 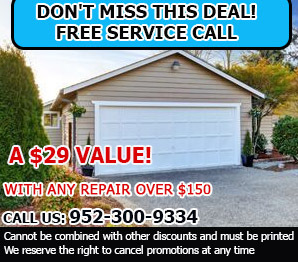 Our experts say that there is no specific cost to a garage door as it will depend on the type and brand of door, modifications to your garage to accommodate your preferred garage door and other customizations requests that you want done on it. How can I tell if the torsion spring is adjusted? Detach the garage door opener and pull the cord when the door is closed. Open it manually halfway. A properly adjusted spring should make it stay halfway open. If it opens fully or slams shut, you may need to have a professional adjust the spring's tension accordingly.